Around 3,000 business conditions under circulars have expired since July 1, 2016, and have been replaced by 50 new decrees. This was a breakthrough in the local business environment and was good news for the local business community. But local enterprises were still worried about thousands of other business conditions that still exist in laws, decrees and legal documents of ministries. Đậu Anh Tuấn, head of the Việt Nam Chamber of Commerce and Industry (VCCI) told Vietnam News Agency about those issues. How does the removal of 3,000 business conditions effect the business community? The removal of 3,000 business conditions has been implemented according to the Law on Investment 2014. The Government set a deadline of July 1 for abolishing 3,000 business conditions with the aim of seriously implementing new versions of the Law on Enterprise and the Law on Investment. The new versions of the two laws came into effect on July 1, 2015 and from April 2016. Ministries and industries were encouraged to compile new decrees on business conditions as requirements of the two laws. Firstly, the Government has asked ministries and industries to cooperate closely with the VCCI, the representatives of local business communities, and the Central Institute for Economic Management (CIEM), an independent institute, in reviewing business conditions. That was a positive signal for improving the local business environment and reducing business conditions. Creation of a good business environment is one of the Government’s important tasks in the coming time. The 3,000 business conditions must stop effective of July 1. Is it an urgent deadline? I think if the process of renewing business conditions had started early, it would not be urgent. The VCCI and ministries have tried our best to review those conditions but we have suffered pressure from the July 1 deadline because it was the deadline for abolishing 3,000 conditions and also of issuing new decrees on business conditions to replace the 3,000 conditions cut. Therefore, the process of replacing new regulations on business conditions has not happened as expected. I think the process of compiling the new regulations needs more time to collect opinions from enterprises. The ministries and industries started to collect opinions from the end of April, so process of compiling 50 new decrees on business conditions after abolishing the 3,000 conditions on July 1 was shorter. That meant the process of collecting opinions from enterprises and the people and predictions of impacts from the new decrees on the local business community were not fully complete. The process of building 50 new decrees has met the deadline, but has not ensured that all the interests of people and enterprises are part of the new decrees. What are your comments about the quality of the new decrees that have been compiled in a short time? Converting from circulars to decrees is to protect the people’s right of free business. Many business conditions in the circulars were less than transparent so the VCCI, ministries, industries and the Government Office reviewed those circulars for weeks to create more transparency for those conditions and abolish conditions that were not suitable. The work to convert from tens of circulars to one decree was not easy, therefore, I am not satisfied with the process of compiling the new decrees on business conditions. I think if we had had more time, we would have done the process better. How is the process of reviewing business conditions after July 1? The process of reviewing business conditions will continue after July 1 because some business conditions can be renewed to be more transparent, specific and positive. Meanwhile, some big issues have not been discussed. For instance, during reviewing those conditions, the VCCI has found that some business lines do not need business conditions so the state should abolish those conditions, including the trading of franchises, because a franchise is a business model but not a conditional business line. The proposal is not solved because the issue is related to so many regulations under different laws that the Government has directed the Ministry of Planning and Investment to solve the issue. 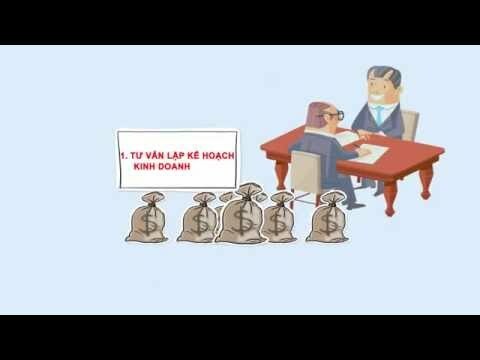 It is certain that the 50 new decrees on business conditions or the 3,000 old business conditions did not cover all existing business conditions in Việt Nam. Those conditions are under circulars while many business conditions have existed in laws that were not reviewed. Therefore, July 1, 2016 is the moment to start reviewing business conditions and the process of reviewing business conditions will be promoted further in the future when implementing the Law on Enterprise 2014, the Law on Investment 2014 and the Government’s Resolution 35 and Resolution 19.